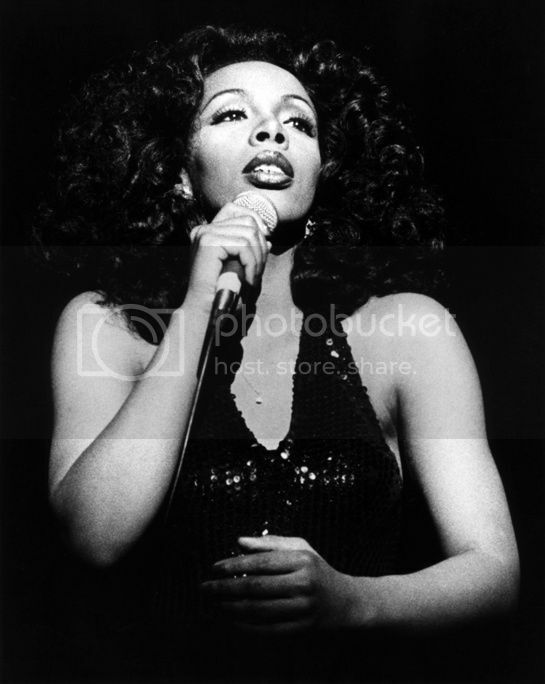 DeepSoul: Donna Summer - "Last Dance"
The dance classic represents disco's peak and decline, but also soars due to the singer's impressive vocal talents. Thank God It's Friday was a forgettable movie cashing in on the disco craze. The awful 1978 Saturday Night Fever ripoff is a footnote in film history, otherwise known for starring future stars Jeff Goldblum, Debra Winger, and eventual Berlin lead singer Terry Nunn. But when Donna Summer, playing an aspiring singer, steps onto the fictional disco's stage to belt out a new song, she officially steals the entire movie. And what a song it was: "Last Dance," a track that became a disco anthem and won the 1979 Oscar for best original song. Summer's recent death reminds us that she was more than just the "Queen of Disco"--she had a powerhouse voice that transformed even the most mundane dance tracks into works of passion and energy. While her list of hits is long, "Last Dance" best sums up her legacy due to its "ode to disco" lyrics and her nuanced performance. Amazingly, Summer almost passed on the dance classic. In a 2010 interview, arranger, songwriter, and producer Bob Etsy described how composer Paul Jabara locked a reluctant Summer in her Puerto Rico hotel bathroom to play her an early cassette demo of "Last Dance." After Summer finally gave him her approval, Jabara approached Etsy to help him with the arrangements before recording a finished demo for then-head of Casablanca Records Neil Bogart. Etsy claims that he devised the ballad introduction and the bridge in order to mimic the climactic structure of "Ain't No Mountain High Enough." Having two ballad sections, both of which build the song to climactic high notes, "to our knowledge. . . had never been done in a disco track," explained Etsy. Stories vary as to whether Giorgio Moroder then banned Etsy from the final recording session, although Etsy finally won a co-producer credit. Summer recorded the song in very few takes, immediately nailing the fluctuating emotions and tones required for "Last Dance." As Etsy stated, the song begins as a ballad, the string and horn sections creating an almost magical atmosphere. The slow tempo and longing evoked in the instrumentation emulates that feeling one experiences when a party is reaching its end. In this case the narrator is clearly looking for more than a dance, and keenly feels that she will soon leave the enchanted world of the club. "Last dance/ Last dance for love," Summer quietly sings. "Yes, it's my last chance/ For romance tonight." The lyrics continue evoking romantic images: "I need you by me/ Beside me, to guide me," she croons. But remember--this was the disco era, where lasting relationships were not a primary goal. So the mood takes a decidedly naughty turn when Summer adds "To hold me, to scold me/ 'Cause when I'm bad, I'm so, so bad." As she holds the note on the final "bad," the all-too-familiar dance beat kicks in, ushering in the full arrangement. Summer repeats the ballad's words, but this time with renewed confidence and less desperation. By the time the bridge arrives, Summer is in full-on voice, but seems conflicted between finding "Mr. Right" or "Mr. Right Now." "I can't be sure that you're the one for me," she acknowledges. "But all that I ask is that you dance with me." The extended version illustrates how she can ad lib and hit a wide range of notes to lead the audience to the cliffhanger, when she hits that that high note on "bad." Her performance is nothing short of a tour-de-force, an ode to disco music and culture that still touches on emotions everyone can relate to. Who wouldn't want to end an evening finding romance? When she reaches that final line "come on baby, dance that dance," Summer holds listeners in the palm of her hand, with them virtually cheering her on to the song's conclusion. We all know the rest of the story: disco would last only a couple more years, eventually inspiring a backlash due to overexposure and, some argue, prejudice against its biggest fan bases. Summer would score some hits in the 80s, but never fully escaped her "Queen of Disco" title. In concert, she demonstrated her operatic pipes, but audiences generally wanted to hear her 70s hits. But her disco years are nothing to deride: she arguably elevated the genre to music that could encompass memorable lyrics, intricate arrangements, and skilled vocals. "Last Dance" recalls both the peak and decline of disco, but it also showcases Summer's unique talents like no other song she recorded.